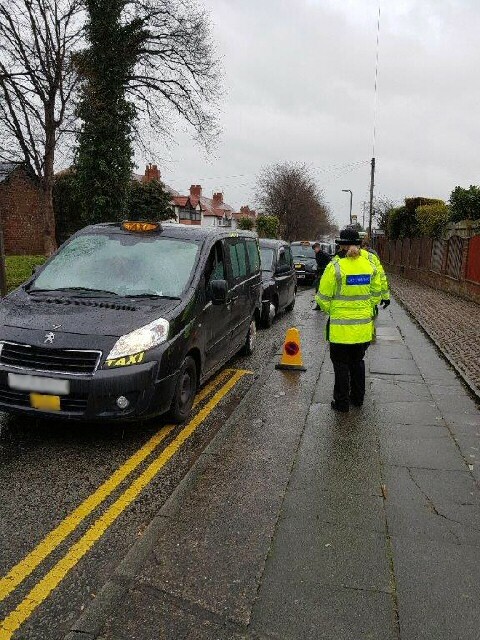 LIVERPOOL City Council Licensing Officers took almost 50 Taxis and Private Hire cars off the road in March for a string safety defects. As part of the Council's ongoing commitment to ensure passenger safety in the City, Officers served suspension notices on 48 vehicles following routine inspections throughout the month. 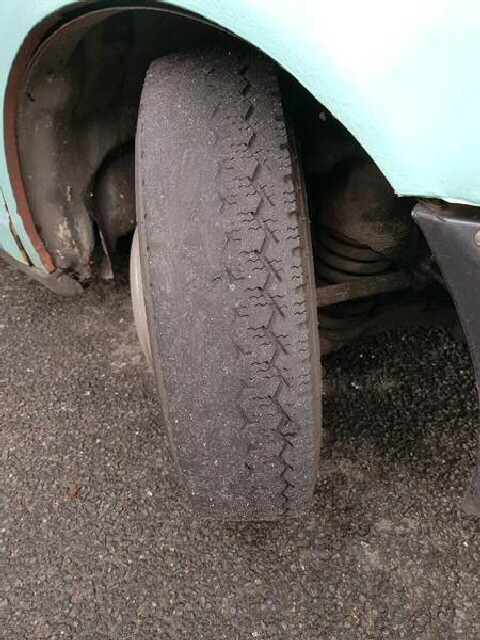 Cabs were taken off the road for a variety of breaches, including unsafe tyres, dented and damaged bodywork; including:- sharp and dangerous edges and unhygienic interiors. A further 45 vehicles were issued with defect notices for minor faults and ordered to make repairs within 7 days. In total, 25 of the cabs taken off the road were licensed in Liverpool whilst 23 were licensed with other Local Authorities. Licensing Officers are also working to prevent unscrupulous drivers breaking the rules through plying for hire (Private Hire driver's that pick up passengers off the street who have not pre-booked the journey), cherry picking fares and failing to use their meters, particularly on match days. At the recent Liverpool home game against Tottenham Hotspur, 3 Private Hire drivers were reported for plying for hire without a licence to do so. Throughout March, a further 37 drivers were given written warnings for violations such as not wearing their badges, not having their Taxi Licence Plates fixed properly and failing to act in a civil manner. The offending drivers came from Liverpool and surrounding boroughs such as:- Sefton, Knowsley and the Wirral, but some who were caught came from as far away as Wolverhampton. Whilst 15 drivers were prosecuted by the Council for offences such as plying for hire. During March, the City Council Licensing Committee also revoked 1 Private Hire Driver's License, for drink driving offences. City manager Kevin Johnson said:- "The Taxi and Private Hire industry plays an important part in Liverpool's local economy and provides an extremely valuable service to the public. People who visit, live or work in Liverpool have the right to travel around the City in safety and be secure in the knowledge that they are not being ripped off. Thankfully the vast majority of our drivers play by the rules and provide a first-class service, but the message to anyone who thinks they can come to Liverpool and flaunt the rules is; you will be caught." A total of 796 patients have taken part in clinical trials in the last 12 months, expanding the Trust's portfolio and improving clinical excellence. This is more people than ever before. This type of research is crucial as it allows doctors and other healthcare professionals to show evidence that new treatments work, which is a benefit for current and future patients. With 1 in 2 people in the Region likely to develop cancer, this work is critical for the future care of patients at The Clatterbridge Cancer Centre. Dr Maria Maguire, Acting Director of Research Operations, said:- "We want to make sure patients have access to research studies. It adds to our knowledge of cancer, whether that is about treatment or their experience. Every patient can play their part and we want to make our research portfolio more diverse while maintaining current strengths, looking at the bench to bedside approach and ultimately improving outcomes for our patient." There is a massive diversity of clinical trials on offer to patients at The Clatterbridge Cancer Centre, covering a variety of aspects of patient care. For example a study into the side effects of immunotherapy treatment is crucial to patient safety while the increase in the pool of biobank samples will enhance research into why certain people are more likely to get cancer. A new research strategy was launched in 2018 and Dr Maguire said the team have embraced the objectives. The opening of the new Clatterbridge Cancer Centre in Liverpool next year, in the heart of the Knowledge Quarter, will also boost research and development significantly. She added:- "Next year we want to increase the number of patients on clinical trials to 10 % of new referrals. Research assures better drugs, treatment and outcomes for the patient and that drives everything we do." Patient Sarah Hayes had no hesitation about taking part in a clinical trial as part of her treatment for secondary breast cancer. Sarah, 35, from Noctorum in Wirral was referred to Professor Carlo Palmieri, Consultant Oncologist at The Clatterbridge Cancer Centre, and told about a clinical trial call CARBON. The trial is examining the effectiveness of a drug combination for women with secondary or advanced breast cancer. Mum of 4 Sarah said:- "Looking back to when I was diagnosed with secondary cancers I didn't know what the future held. Now I have celebrated my son's 16th birthday. I definitely credit the trial with that. The treatment I'd had before that was good but clearly things were changing and I was deteriorating. I would say to anyone who is offered a clinical trial they should definitely give it a go. The treatment is so personalised and I feel very lucky to have been given this chance. Also, taking part in a trial is a way of helping other people. I have 3 daughters and although I know thanks to genetic testing that my cancer is not genetic, I feel that by taking part in a trial I am not only helping myself but other women, possibly my daughters, who might go on to have breast cancer." 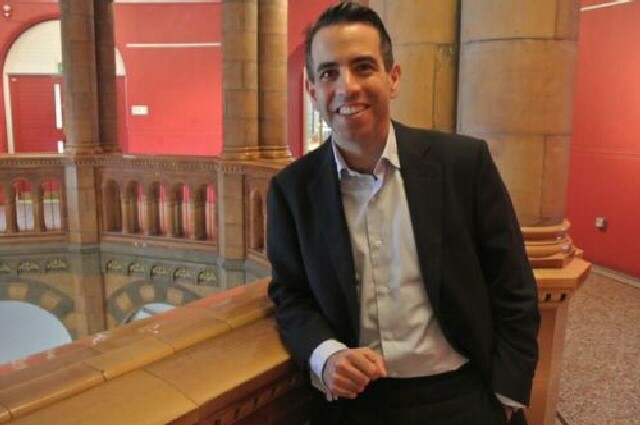 Professor Palmieri, Consultant Oncologist at The Clatterbridge Cancer Centre, said:- "Clinical trials give options to patients and access to new treatments. They are also vital to developing new treatments and improving outcomes, helping patients live longer. Patients like Sarah who take part in trials are pioneers. They lead the way and we owe them a great debt of gratitude."